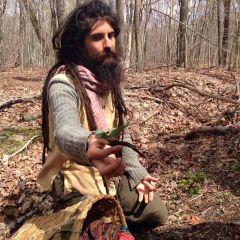 Join Dan de Lion of Return to Nature (www.returntonature.us (https://l.facebook.com/l.php?u=http%3A%2F%2Fwww.returntonature.us%2F&h=ATPrKOkO2aqTs_b4t_rPfiucFL1jS0CF4A3R1nfY7PGuRhxYITUM0U61_9B3iPV2M-AWTnZ4cZ_wAJPkdxNDOj8decGmkSRNdi_qivystWve9imYQTEk9KCRfucD5bBEjBib3q3ttL_jwIxa43gN95EdjgQVSzveTIEAN8dbakl2FYCiBOQE)) for an in-depth look at black walnut harvesting and processing from ground to belly. These tasty nuts are a power packed food which many of you can find in your own backyard. In this class, Dan will teach you how to make medicines from them, how to harvest, dry, and prepare them, and methods for storage for long-term or survival needs. Also, check out lots of herbalism and foraging videos, articles, and upcoming classes as well as herbal goods at www.returntonature.us (https://l.facebook.com/l.php?u=http%3A%2F%2Fwww.returntonature.us%2F&h=ATOMtZUJ1HYyS22JhdP89KvArZql_-JYHbZvUN5k5WWpr-cw0zibWgL9XGyjWPq4yNrf3KT75aCZ_eJ1KiDEPNPuZVtYHKKay8znD1IML22uJRwuB-J5_Bw_MTXWDo2ANWtfvRh87TydRdakEzwaKeqxp6IZr9-m74CSfAb9EGUXvM232I16) and http://www.facebook.com/returntonatureskills . *Please note - It is not enough to simply RSVP on meetup. Please also send an email to [masked] to get specific location details.